The multi-talented actor recently signed up as the brand ambassador of Conzace. 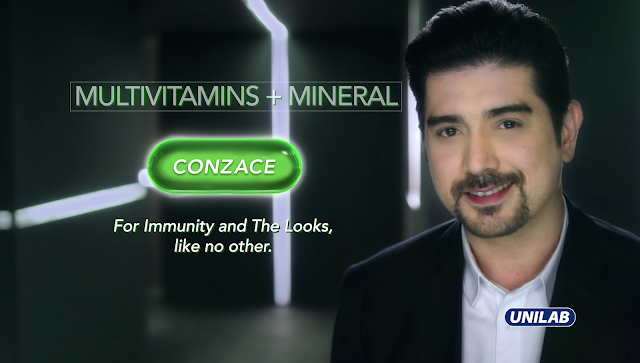 United Laboratories, Inc. (UNILAB) officially welcomes multifaceted celebrity Ian Veneracion as the newest addition to their roster of brand ambassadors. Veneracion, who currently stars as the male lead in ABS-CBN’s primetime show ‘A Love to Last,’ has been chosen to advocate for Conzace, the number one prescribed brand for multivitamin plus minerals by general practitioners and dermatologists in the country. According to Conzace assistant product manager Mike Jimenez, the addition of Veneracion is a perfect match for the brand. “Ian is the epitome of superior immunity and good looks,” he says. Now at 42, Veneracion has again endeared himself to today’s generation as Engineer Antonio “Anton” Noble IV, the dashing, separated with three kids guy who falls in love with another broken soul. And of course before, as Eduardo Buenavista in the 2015 remake of ‘Pangako Sa Yo,’ the role that regained Veneracion’s fame and his career to leading man stature. And then there’s that totally different side of Veneracion that is separate from showbusiness. Apart from being an actor, he is also a painter, an athlete, a pilot, a chef, and a family man—the last being his favorite role to play. 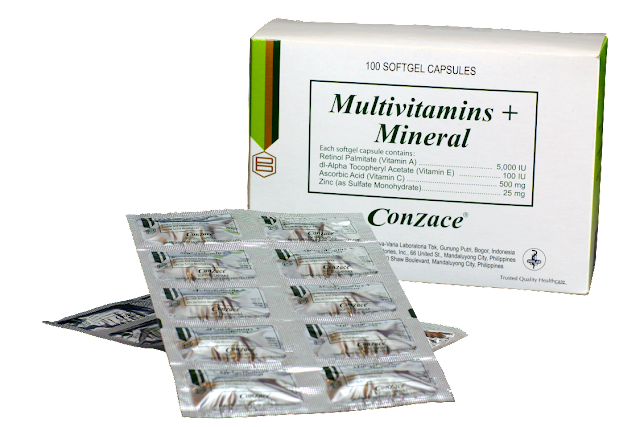 Compared to other multivitamins, Conzace has the highest levels of ZACE combined. All these elements play different roles in one’s well-being. “This unique formulation in Conzace creates a synergistic effect that is clinically proven to help boost immunity, promote healthy skin and hair, and assist in wound healing as it speeds up skin regeneration,” says Jimenez. 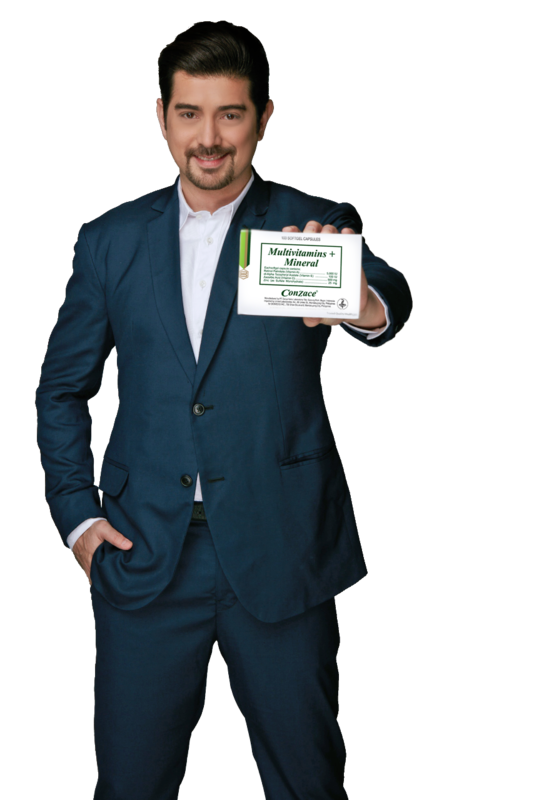 Veneracion, speaking from experience, explains it better: “It’s the little things that we don’t normally notice, like for example, stronger resistance against colds and flu, better and clearer skin, shinier and healthier hair. It will do amazing things; you can do more and be more for yourself, for your family, for your work without being disrupted. “I believe that if you are healthy inside, it just comes out. It reflects physically—in your hair and in your skin. And in the line of job that I am in, it is quite important that I don't just don’t look good but really be healthy,” Veneracion concludes.